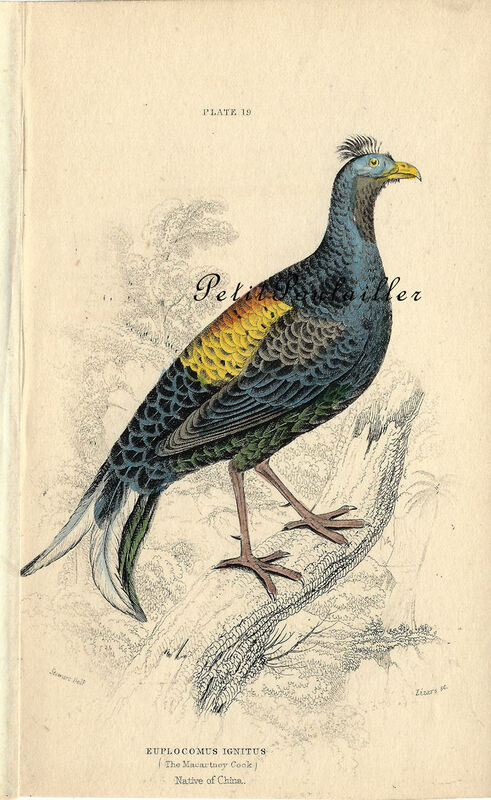 Here is a beautiful hand-colored engraving gleaned from Sir William Jardine 1839 'Naturalist Library' Ornithology reference volume on 'gallinaceous birds'. 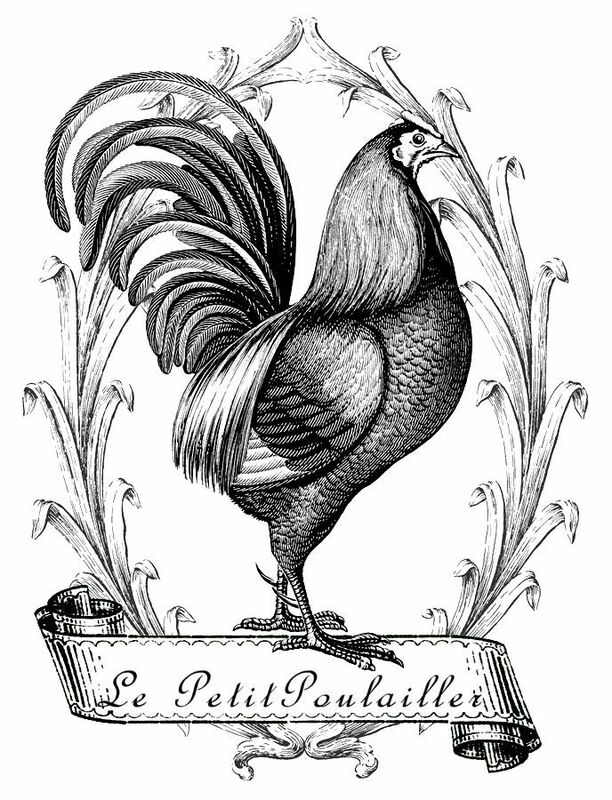 And yes, I had to look it up, too - 'gallinaceous' means 'heavy-bodied ground-feeding domestic or game birds'. 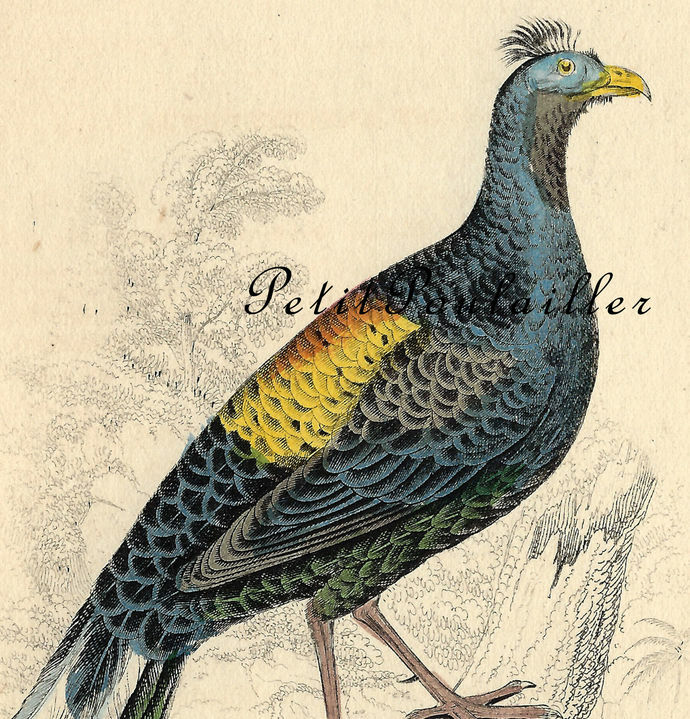 'The Naturalist Library' was a series of 40 natural history volumes of hand colored engravings and notes published by Sir William Jardine (English, 1800-74) between the years 1833-43. The heavy paper is blank on its reverse, measures 4.25" x 6.5" (10x17 cm), and shows gentle all over tanning. The paper is smooth and clean, the paper edges are clear and unmarked, with the corner tips only just softened. The hand-coloring is bright and vivid and exact and there are no tears, folds, creases, or marks. Gentle tanning is seen as the protective tissue remains attached. This is a handsome image to frame and gift or perhaps you'll use in your art - card and tag creations, collage, perhaps you'll keep this in that growing scrap-book paper stash you love. You are purchasing an original 1839 paper and it does not have watermarks. I will send this to you flat, protected, and by USPS 1st Class mail.